Around Halloween, all we ever hear about is pumpkins. You may be getting excited for pumpkin pie, but why not make something different like pumpkin bread or even muffins! 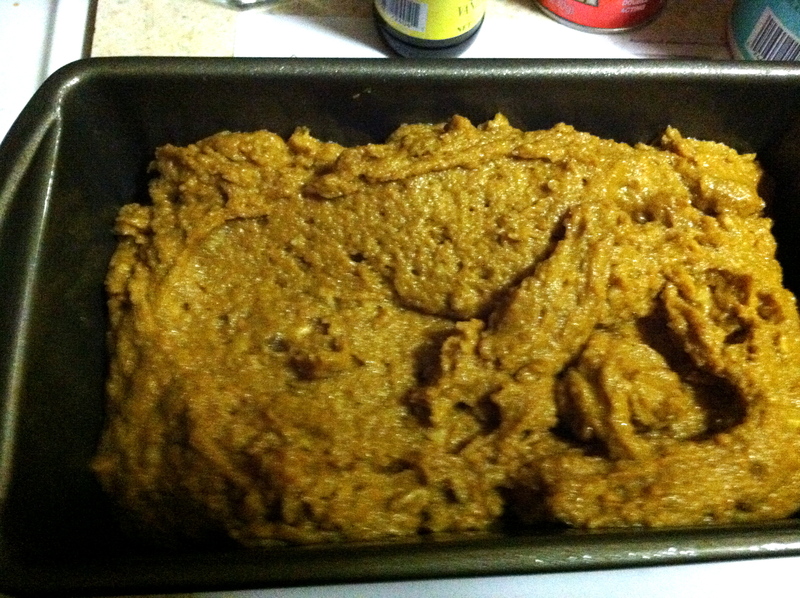 That’s exactly what I was thinking when I decided to make this delicious, moist, healthy pumpkin bread. Note: This comes in a can and can be found at any grocery store. The pumpkin pie mix includes pumpkin puree, cinnamon, nutmeg, ginger, cloves and allspice already mixed together. The can has 2 ½ total cups of mix in it so be sure to measure out the one cup and not just dump the whole can in. I made this mistake the first time I made this and had to redo the whole thing. If you choose not to use this pumpkin pie mix and you want to instead use pumpkin puree then make sure you use 1 cup of the pumpkin puree and add ½ teaspoon of each spice to your dry ingredients. Optional: Add in 1/2 cup of chopped walnuts or even chocolate chips. I used walnuts in this recipe. 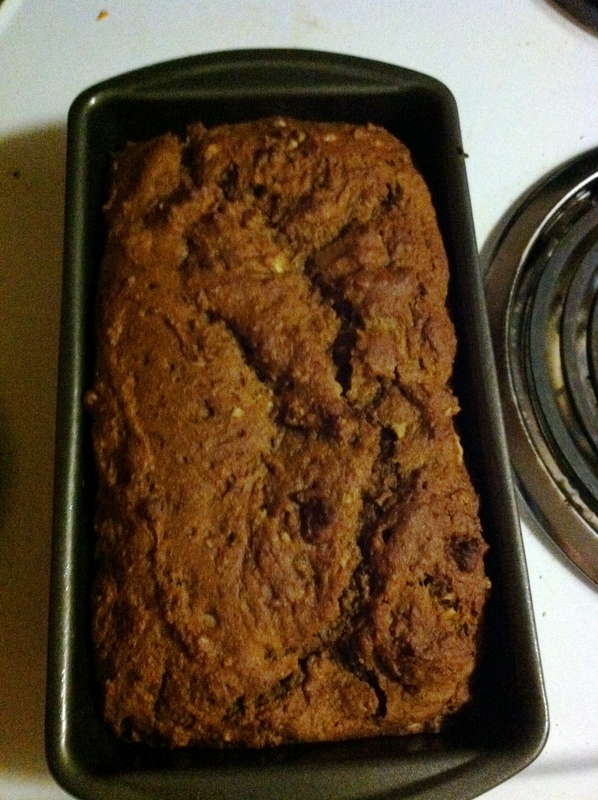 Moist, yummy pumpkin bread right out of the oven! Simply put all of your dry ingredients in one bowl and mix well. Then put all of your wet ingredients in a separate bowl and mix well. Add the wet mixture to your dry mixture and mix thoroughly. Now you will have a thick, well mixed pumpkin bread batter. At this point, you can add in 1/2 cup of chopped walnuts or chocolate chips or anything else you would like to include in your bread. Pour batter into your sprayed bread pan or nonstick bread pan and bake for 1 hour. When you take the bread out of the oven, you will have a dark, browned loaf staring back at you. Make sure to test the center of the bread with a toothpick, which should come out clean. If not, put back in the oven for no more than 15 minutes. Take out of the oven, let cool for 20 minutes and then enjoy a slice of your warm pumpkin bread!